6/14/2011 he Oscoda County Board of Commissioners has approved a resolution that prods lawmakers to ease restrictions on growing industrial hemp. The resolution brought forth by Everett Swift, the executive director of the Michigan Industrial Hemp Education and Marketing Project (MIHEMP) passed on a five to one zero vote. A pdf of the signed resolution is available here. 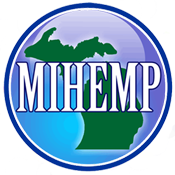 6/16/2011 he Northeast Michigan Council of Governments has approved a resolution that prods lawmakers to ease restrictions on growing industrial hemp. The resolution passed by an eleven to one vote. A pdf of the signed resolution is available here.